China’s General Administration of Customs (GAC) will resolutely crack down on waste smuggling as it initiates the Blue Sky 2019 special campaign this year, said Ni Yuefeng, head of the administration, during an interview at the Great Hall of the People on March 5. Last year, the GAC carried out the most rigorous inspection on solid waste imports, and slashed such imports by 46.5 percent, Ni noted. In addition, the administration also strengthened follow-up supervision and inspections on the sources of foreign waste. The administration successfully blocked foreign waste last year, as 150,000 tons of unqualified solid waste was detected before they were loaded at the places of dispatch. Besides, the GAC also revoked business certificates of companies that have committed crimes and illegal conducts. The ban on foreign trash imports is a clear signal of China’s continuous efforts to advance ecological progress. In April 2017, a reform plan to improve management of solid waste imports was adopted by the Central Leading Group for Deepening Overall Reform of the Central Committee of the Communist Party of China. 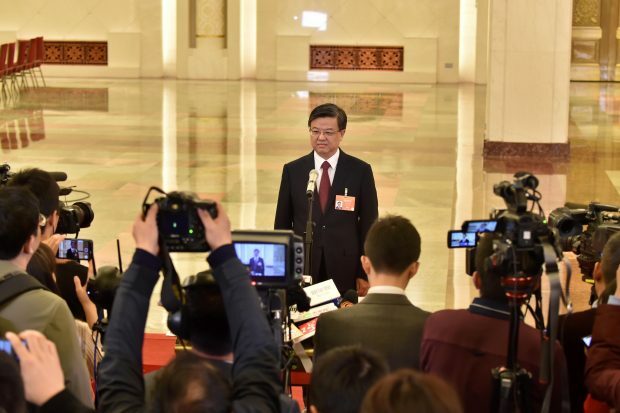 The plan was officially issued by the General Office of the State Council three months later, demanding a comprehensive ban on foreign waste imports and efforts to safeguard eco-environmental security and people’s health. Last year, the GAC launched the Blue Sky 2018 campaign, carrying out 5 rounds of forceful and targeted missions to crack down on solid waste smuggling. The campaign achieved remarkable effects. International cooperation is important for better anti-smuggling work. “If some countries act against smuggling while others don’t, then garbage smuggling will never be resolved,” Ni said. Last year, 75 countries and regions took part in the joint action initiated by the GAC under the title of the Goddess of the Earth, enhancing their efforts to recycle, use and dispose of solid garbage.